LAHORE: Former prime minister Yousuf Raza Gilani has said that the government had made the situation complicated unnecessarily. Talking to media here Friday, Gilani said there is space for dialogues in the politics at anytime. Former premier said Pakistan People’s Party (PPP) had not called in army during the lawyers’ long march. He said whether it is long march or something else, it should be peaceful. He said they wanted protection of rights of the masses. 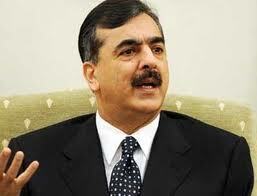 Gilani was of the view that the government could be ousted because of its own mistakes and not by any long march. He said there was no need to invoke article 245, adding the government could still handle the situation. He said PML-N government had itself launched long march, therefore, it should allow others to hold peaceful march.